Brian first joined thinkspace in the spring of 2011 when he completed his practicum requirement for his education. He then rejoined the team in the summer for a few months of valuable experience and, in the spring of 2013, he once again joined the team after two more years of education. 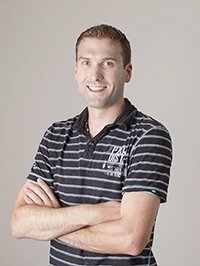 Brian received his Bachelor’s Degree of Technology in Architectural Science in 2013 from BCIT and his Diploma of Technology in Architectural and Building Engineering Technology in 2011. He is eager to continue his education in the future and complete a Masters of Architecture after increasing his experience and gaining industry knowledge. To date, Brian has worked on a variety of projects including institutional and commercial buildings with his favorite being the Mercedes Benz of Vancouver dealership, the first project he worked on. In the last two years, Brian has managed various projects in the health care industry working in acute and extended care facilities requiring a high level of coordination and attention to detail. He also has plenty of experience working with BCIT and its Student Association where he was an executive member for three years of his time at the institute.